TymeDigital by Commonwealth Bank SA, has announced that the South African Reserve Bank has issued it with a banking operating licence, representing the first such licence to be issued by the Reserve Bank since 1999. The licence is scheduled to be published in the Government Gazette on Friday 29, September 20017. Tyme was granted a provisional license by the South African Reserve Bank in 2016. TymeDigital is part of Commonwealth Bank of Australia’s international financial services division. CBA acquired SA fintech company Tyme (take your money everywhere), in 2015. The bank said it believes there is space in the market to serve emerging middle class consumers, and under served small and micro businesses, which it believes is undeserved by the industry at present. Commonwealth Bank SA said it has already committed billions of rands into the country and will continue to do so. Shabalala said that due to its digital nature, set up costs will be minimal, with low fees being passed onto its customers. The bank said it will not have brick and mortar branches because of its digital history. However, through a 10-year partnership with Pick n Pay, the group will create points of presence. “We will be looking to extend the coverage of our banking reach,” Shabalala said. The group said it will provide “competitively priced, accessible banking services” through a growing network of partners. Shabalala said that the bank hopes to be operational by the second quarter of 2018, although it will engage with customers sooner than that, during a trial phase. The first pilot would begin in November, which it will extend in a controlled manner in April 2018. The bank currently employs approximately 230 people in South Africa. The only product the company has in the market at present is its money transfer service, which boasts 200,000 clients, and operates through a partnership with Pick n Pay and Box Stores. 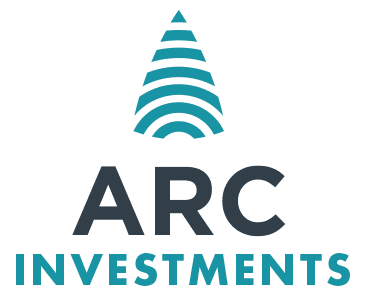 Billionaire Patrice Motsepe made headlines recently after he announced that he was set to challenge South Africa’s biggest banks with investment company African Rainbow Capital (ARC) close to securing a banking license, through a 10% investment in Tyme. Shabalala said that African Rainbow Capital has the ability to up its stake in the bank by another 5%, over and above its current 10% shareholding. “The South African banking environment is due for a bit of disruption,” Johan van der Merwe, co-chief executive officer of African Rainbow Capital, told Bloomberg. “While Capitec has been able to play that role, the soon-to-be-licensed lender will be a disruption over and above that. This will be a complete game changer,” he said.